Wherever you are, there are many dogs and cats in shelters or rescues waiting for new homes. One of the reasons some people give for not wanting to adopt a pet from a shelter is that they are concerned about behaviour problems. A new study by Sophie Scott et al (University of Adelaide) looks at the behaviour problems people report in their newly-adopted dog or cat, and finds out how they feel about their new pet. The results are very positive and show most people are happy with their new dog or cat. “It's incredibly important we understand the nature of adopter satisfaction after the adoption of a cat or dog. Issues such as problem behaviours and/or conflict with other pets or children can affect adopter satisfaction and are often attributed to adoption failure, so the ability to pin-point the main issues and troubleshoot them early is essential in maintaining the human-animal-bond in these cases. 107 people who had adopted a dog or puppy, and 168 people who had adopted a cat or kitten, completed the telephone survey. Most cat owners (85%) were very satisfied with their new pet’s behaviour, and only 0.6% said they were dissatisfied with their cat’s behaviour. 14% of cats were said to have an undesirable behaviour. The most common complaints were inappropriate scratching or chewing of furniture, house soiling issues, or other issues. The shelter has advice available from a behaviourist for adopters who need it, and just over half of those who said their cat had a behaviour problem were referred, while the remainder did not wish to be referred. Dog owners were less satisfied, but 65% of people were very satisfied with their new dog’s behaviour, and just under 4% said they were dissatisfied. 53% of the dogs were said to have an undesirable behaviour. 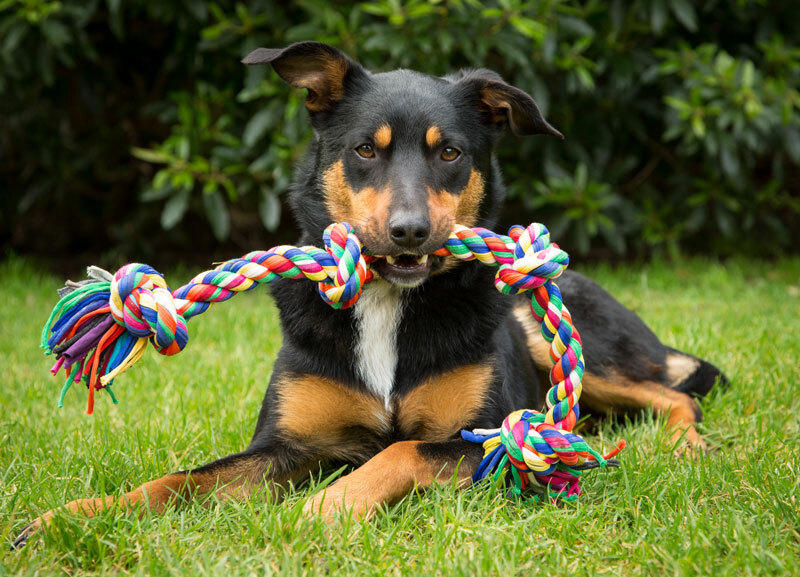 The most common problems reported were pulling on leash, scratching or chewing furniture, and house-soiling issues. Just under half of people who said their dog had a problem were referred to the behaviourist. For both cats and dogs, the reason for the animal's admission to the shelter did not affect people's overall satisfaction with their new pet. Interestingly, dogs who had been at the shelter for a longer period of time were less likely to have behaviour problems. This suggests the shelter had successfully worked with the dogs to resolve any issues. About half of the animals were adopted to homes with children, or with children who often visited. Most people said the dog or cat was adjusting well to the children, even though just over half of them had been assessed by the shelter as not being suitable for a home with children. Cats were more likely to go to a home that already had other animals, but were also less likely to be said to adjust well to it than dogs. Of the dogs, just over half were female and most had been strays, although 30% had been owner surrenders. The most common breeds were mixed-breeds of which part was Staffordshire Bull Terriers, American Staffordshire Terriers and Kelpies (an Australian sheep dog). Of the cats, more than half were female and more than half had been strays, with 38% owner-surrenders. They were mostly mixed-breeds, typically Domestic Short-Hairs or Domestic Medium-Hairs. Both dogs and cats were typically aged between 1 and 7 years, although there were also quite a few kittens. The average length of time in the shelter was 19 days for dogs and 20 days for cats. These results show most people are very satisfied with the behaviour of their new pet. This is consistent with the results of earlier research on dogs which found that most people who adopt a shelter dog would do so again. In terms of the most common problem behaviours exhibited, a no-pull harness is a good way to manage dogs pulling on leash. As for cats, it’s very important to provide good scratching posts that are appropriate (from the cat’s point of view) as scratching is a natural behaviour; rewarding cats for using the post is also a good idea. Although there could be variations between shelters, this study provides very useful information as to the adoption counselling that would be useful. The results are also very reassuring for people planning to adopt a shelter pet. You can follow Dr. Susan Hazel, one of the authors of the study, on Twitter. What’s your advice to someone thinking of adopting a dog from a shelter?